Rain on the little A River. Low water. Soft rain. The steelhead took a small Brown Forked Tail Prince Nymph. The tippet was 4X fluorcarbon. A dropper fly generally called the Prince. 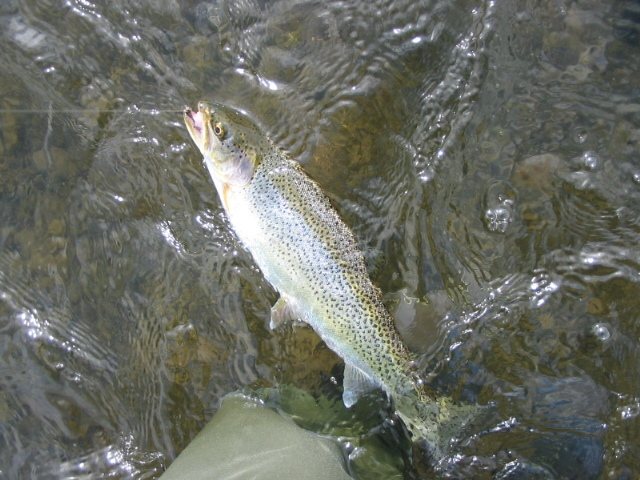 This trophy Rogue River Cutthroat Trout came to a Brown Forked Tail Prince Nymph. This nice Rogue River cutthroat trout came to a Brown Forked Tail Prince while fly fishing for winter steelhead yesterday. 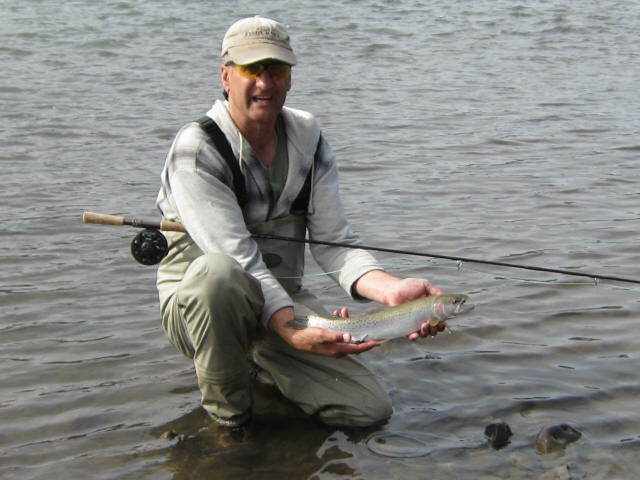 The overcast sky was good for fly fishing for cutthroats. A little latter I noticed a few trout begin rising in the run. I noticed a few good size March Brown floating on the water surface. Also there were the smaller, I think they were BW Olives present. As the hatch grew in numbers so did the visible rising trout. 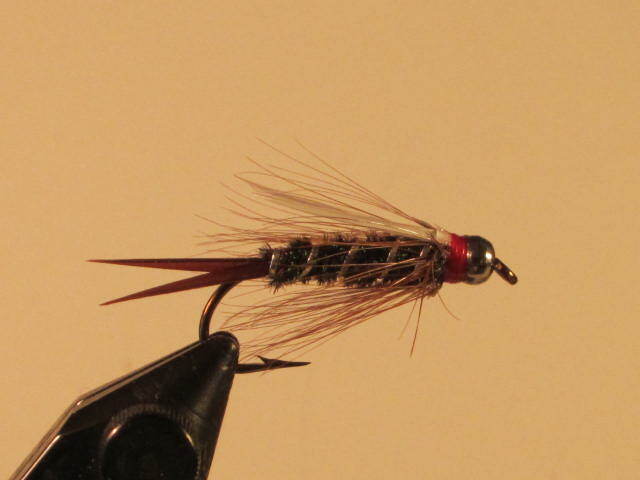 I tied on a lighter tippet and cast a parachute BW Olive size #12 fly to them. I caught four more and they were all cutthroat trout. After having that fun, I went back to fishing the run with heavy nymphs for steelhead, but that action remained slow even with the good overcast sky. 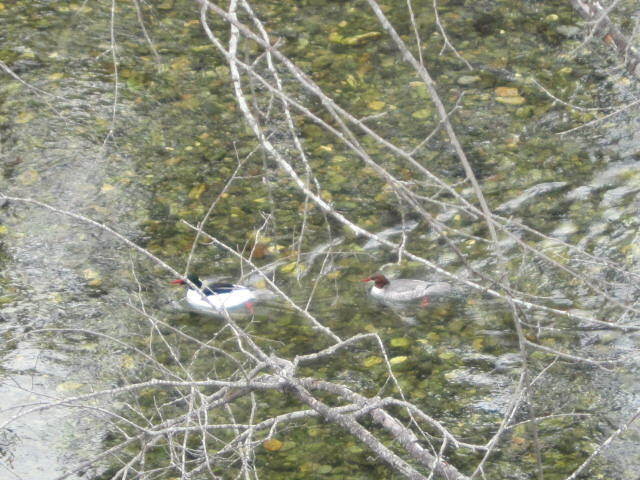 On the Rogue River near Touvelle. 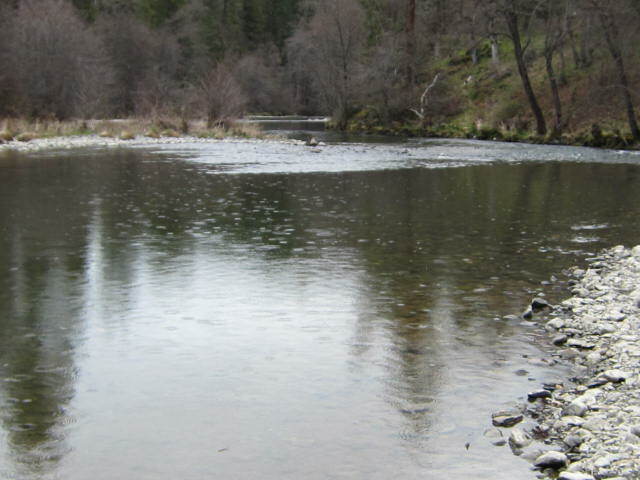 The water quality is really improving on the Rogue River. 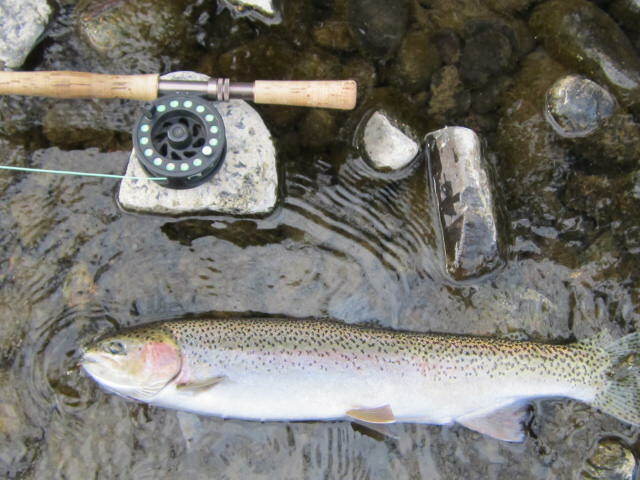 The river is clearing and getting that steelhead green, fishy look to it, and we’re getting a few. I went 1 for 2 today. The other fish was found early morning and from what I got to see of it, was a good one. Fishing two small flies, so it took either a Prince or a G.R. Hare’s Ear. This fish took a Beadhead G.R. Hare’s Ear fished as the dropper off of a Midnight Fire Carpetbagger. 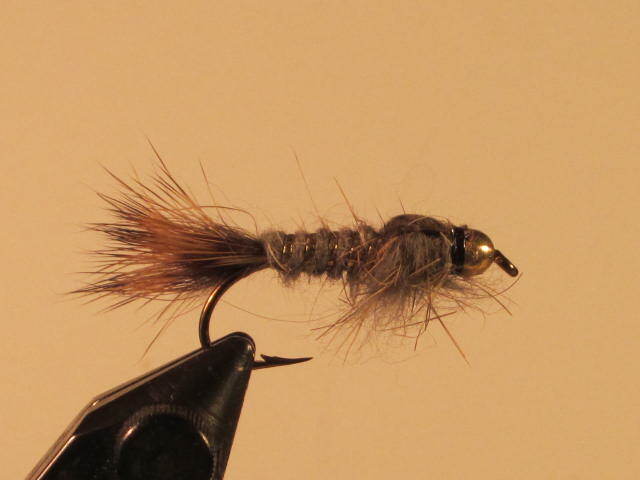 The Gold Ribbed Hare’s Ear nymph is a good dropper fly. Hooked into my first one yesterday. Felt a little challenged with my 6 weight switch rod when I pulled him up to the surface and felt his power. I clamped down on my horse and felt the knot give at the bottom fly after some thrashing on the surface. Yes, he hit a mere wisp of an G.R. Hare’s Ear in the murky water of the Rogue. Recent rains had brought the river’s flow up along with turbidity. 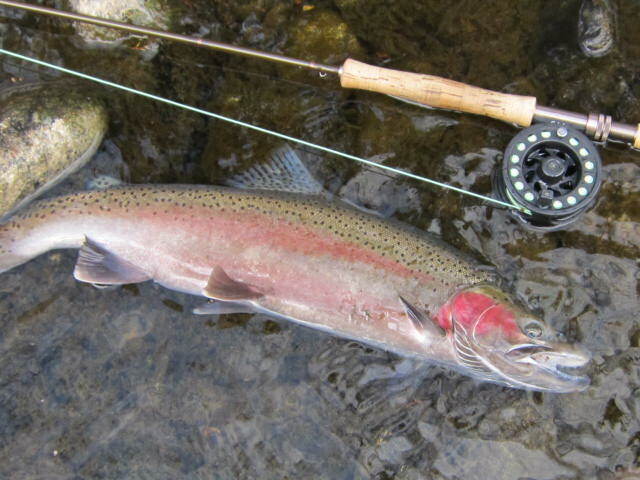 I think a good number of winter steelhead made a move with the warming change of the month. I got no other hook ups, but I did see two other fish show on the surface during the day.